Apple's ridiculous patent assault against Samsung finally hits Google, which suddenly looks genius for choosing Asus to manufacture the Nexus 7 tablet. On Friday, US District Judge Lucy Koh issued a preliminary injunction against Galaxy Nexus, which is Google's flagship, stock Android smartphone. Days earlier she barred Galaxy Tab 10.1. For the preliminary injunction to go into effect, Apple must first put up $96 million. What timing. To preview Android 4.1 Jellybean, the company gave one to each of more than 5,000 developers during Google I/O earlier this week. The new OS releases to Motorola XOOM tablets and Galaxy Nexus in mid-July, making the smartphone the first to get the important upgrade. The preliminary injunction would somewhat stymie Jellybean distribution ahead of iO6, which Apple is months from releasing. New features include voice response, that in BetaNews testing smoke Apple's Siri. If you're thinking about buying Galaxy Nexus, don't wait! The present invention provides convenient access to items of information that are related to various descriptors input by a user, by means of a unitary interface which is capable of accessing information in a variety of locations, through a number of different techniques. Using a plurality of heuristic algorithms to operate upon information descriptors input by the user, the present invention locates and displays candidate items of information for selection and/or retrieval. Thus, the advantages of a search engine can be exploited, while listing only relevant object candidate items of information. Apple looks desperate from the looks of things, as it wants to restrict sales of old products. While Galaxy Nexus will initially be the main device for Jellybean, it's not considered a top-seller and Google and Samsung jointly launched the phone in October. In the United States, Sprint and Verizon sell the LTE model locked and subsidized, while Google offers the HSPA+ Galaxy Nexus unlocked. Judge Koh granted the injunction, accepting Apple claims of irreparable harm because of "long-term loss of market share". These words speak for themselves in this case. 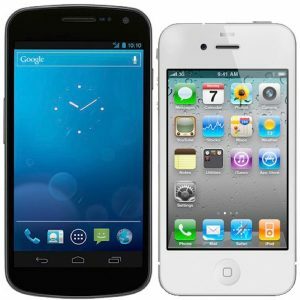 Apple claims that the Galaxy Nexus has dented their market share, which is really laughable, considering Samsung Galaxy S II is by measure of many millions the bigger seller. The lawyers must be pleased with their finding, as it took them 7 months to find it. Maybe they're laughing, too, at their snookering the judge. The fact that Apple is going for products that don’t have much market time left in them also speaks volumes about the philosophy of CEO Tim Cook. On one hand, during last quarter's earnings conference call, he claims that he doesn’t like to go to court; but, on the other hand, he sues a competitor to get an injunction for a 7-month old product, which is close to its end-of-life. Apple got the preliminary injunction after failing to bar Samsung Galaxy S III and gaining temporary ban against HTC One X. That Samsung has done so poorly in the courts might be one explanation Google chose Asus for the Nexus 7 tablet. Samsung is Apple's largest competitor and, and as such, takes the most legal attacks -- all while iPhone and iOS fall behind Android. Apple's patent lawsuits can only hurt their public image and align people against them. Earlier this month my colleague Joe Wilcox boycotted Apple for being a "patent bully". Apple’s behavior looks more like continuation of late-Steve Jobs personal vendetta against all Android phone manufacturers basically and it’s an appalling way to gain temporary increase in market share. The only ones affected are, as always, the fans of Google/Samsung that want to buy the Galaxy Nexus. Apple is subtly telling the world that it doesn’t matter what anyone wants and that they’ve got the resources to find any possible reason to stop them from getting what they want. And they’re doing a great job at it, too.